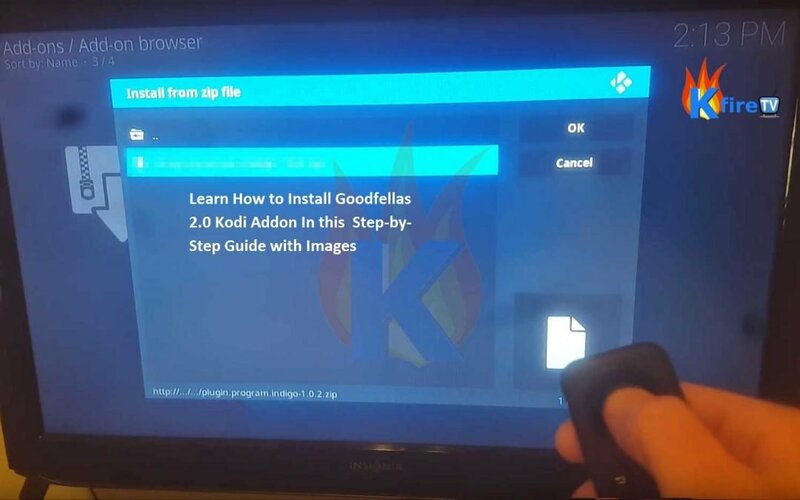 This article iscomplete tutorial (with screenshots) on how to install the Goodfellas 2.0 Kodi addon. One of the most popular streaming TVaddons in Kodi is the Goodfellas 2.0 Kodi addon. This addon has a vast library of stream links that provide its users with excellent live streaming options. If you are a sports enthusiast and you are looking for a medium where you can enjoy the matches live, you should surely install Goodfellas 2.0 Kodi to enjoy every sports event live. This Kodi addon has an easy-to-use interface, which makes navigation through the content straightforward. If you do not have Kodi on your FireStick, please follow click here to follow my easy tutorial on how to add Kodi to Firestick. This article discusses the processes to install Goodfellas 2.0 Kodi addon. Follow the steps below for successful installation. 3: Now, click on the “Add Source” option given in the left-navigation panel. 4: Select“None” in the empty box visible on your screen and enter this link: http://www.goodfellasteam.com/Repository/. 6: Return to the Kodi home screen again. 8: On the top left of the screen, you will see the Package installer icon; click on it. 11: Now click on the “Repository” folder. 12: Then select the “repository.goodfellas-1.6.1.zip” file present there. Note: A notification will appear on your screen to let you know the add-on has been enabled. The installation process will take a moment to be complete. So please be patient while the Kodi Goodfellas addon install process finishes! Goodfellas 2.0 kodi Addon: What’s inside? The Goodfellas 2.0 Kodi add-on includes channels such as SyFy, ESPN, HGTV, and HBO as well as a few UK stations like Sky, BBC stations, and Sky movie channels. When you install Goodfellas Kodi addon, you have successfully paved a way to access all the streaming links in it. You can enjoy movies, shows, Live TV channels, and other live TV programs here. Using Goodfellas 2.0 is incredibly easy, but has it’s limitations. Rarely some channels on Goodfellas do not work but those instances are normally a temporary problem and solved in a timely manner. Goodfellas 2.0 has a very easy to use interface where the channels are divided into popular categories making it much easier for the users to navigate and find what you want to watch.